To invest a gift from a donor that is intended to protect the principal and provide financial support for the long term. The assets of an Agency Fund reside on the accounting books of the agency/organization that opens the Fund, and the Fund is listed as a liability on the accounting books of CTCF. Only the agency/organization that establishes this Fund will transfer/make contributions to it, individual donors will not. How can my organization establish an Agency Fund? Who will be the 2 primary advisors for the Fund? Are there any restrictions on how or when the Fund can be accessed (for operational expenses or not, only to support particular programs, after a certain timeframe, etc.)? Does your organization want the Fund to be invested? Administrative costs to open and maintain the Fund. 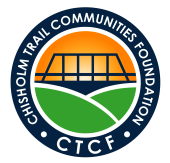 To review a copy of the Fund Agreement or for more information, call or email Julie Johnson at (512) 863-4186 or juliejohnson@chisholm-trail.org.